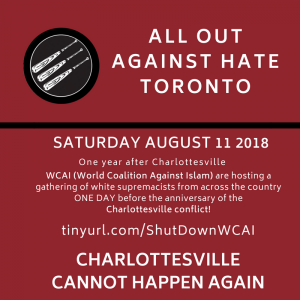 Calgary-based hate group WCAI (World Coalition Against Islam) is flying into Toronto and hosting a white supremacist rally at Nathan Phillips Square on Saturday August 11th, 2018. Counter-demonstration starts officially at 1pm! Bring a buddy, wear a mask! The date WCAI has chosen for their hate event is the one year anniversary of when white supremacists marched with torches through University of Virginia campus. One day before the anniversary of the large-scale civil conflict we now call Charlottesville. We have reason to believe WCAI chose this day on purpose — and we cannot take this threat lightly. 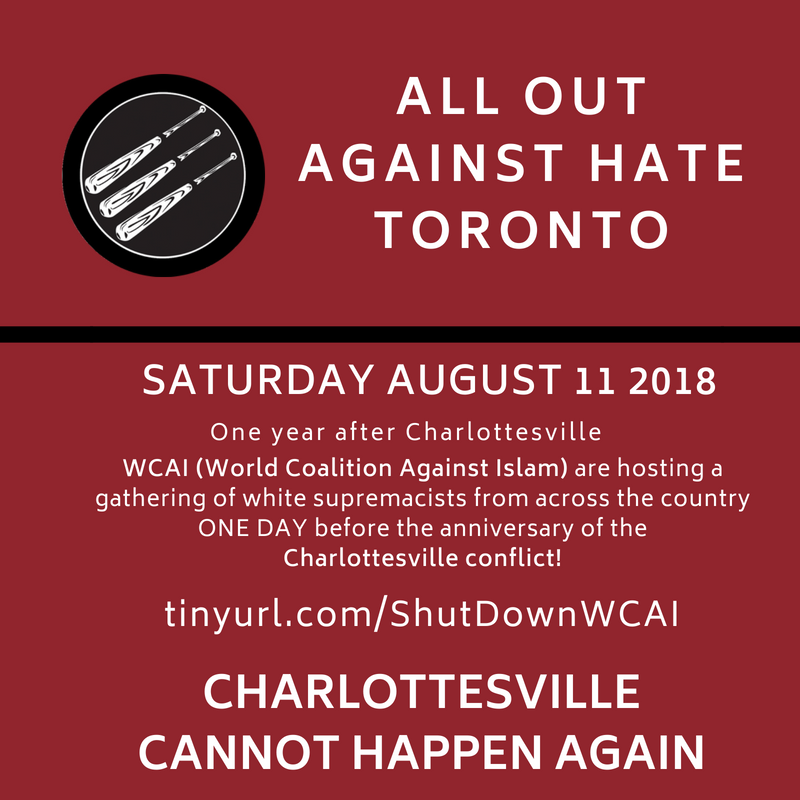 Not only is WCAI flying in from Calgary, but regional white supremacists are traveling from all across Ontario and Quebec to show their hatred — not only against Muslims and refugees, but for anyone else who stands in their way. We must come together in a show of solidarity across the left spectrum as a UNITED FRONT to protect and defend against these fascist monsters!